How to find a good Brazilian Jiu-Jitsu Gym for your kid? Our Kids are our best gift from God and we will not save effort to give them the best! Research and Recommendations from friends are valuable when looking for a Brazilian Jiu-Jitsu (BJJ) gym to your child but the main rule is to try it out as soon as you decide where to go. It will help you to decide if you want to stay or not. Most of the good BJJ gyms will allow your kid to try it. So do it! A good school normally will let you try it for free. But some will try to charge you a small mats fee. Make sure you are not sign any kind of contract. A truly believe that a good gym can keep their students on training with no contract. I personally hate contracts. I like to keep people free. I definitely recommend you to have a experimental class on every single BJJ gym on your area if possible. I do recommend and I do ask people if they already tried other gyms. A very important if not the most important is who will be teaching your child. There is a trick there. With the popularity of BJJ due the efficiency of the martial art. Many big names are giving their names to other schools. We call it affiliation. Basically the school will be using a “famous” coach name but another person will be teaching. Nothing wrong with that but You have the right to know who will be there for every class. Master, coach or instructor. What really matter is how much knowledge and experience they have. There is a big difference between hours on the mats training and hours coaching. Teaching kids is much more than to have a bunch of kindergartens choking each other and playing BJJ games. I am very confident to say that teaching kids is not easy and save money can be dangerous. It means you probably will have what you pay for. I have been coaching for decades and I saw many little guys growing up and becoming great adults. Control of the class when coaching. Make sure your future instructor is the boss in class. He can’t be a mad person neither the nicest guy. Balance is required to be able to keep the discipline and focus. Again experience of your future coach will have to be a very important factor on your decision. Like I told before, try the class and you will feel if it is a good place for your kid. Make sure The Coach is a clean guy and a respectable. If you want your kid to compete make sure you see how is the Team Competition Training and how much experience the Coach has at competition. ask how is the competition team going. I am not saying that a champion is a good or bad coach. Everyone with hard work can have a medal but not everyone can teach and form a champion and definitely not many people can coach kids. A UFC champion is a high level MMA athlete for sure but BJJ is not MMA and is he a good BJJ kids coach? I was raised with many big names from BJJ, MMA and Muay Thai. Some of them awarded as the best of all time. We all Grew up at the same MMA school. But again to train with and Olympic athlete for example will not give you a gold medal neither to your child. It means your coach is a great athlete. I know a lot of younger fighters that could “smash” some of the best coaches on the world. But are those tough guys able to build champions? Because the best coaches already proved they can. By the way most of the Great champions were not able to build great names. Another question could be. Is your coach able to teach without watch videos? Is BJJ on him or is he getting it from the screen? Do not get impressed with one technique or two. It’s a old “bad coach” trick. You will see someone teaching something that looks super cool and it will sell. Make sure your kid is learning on the right sequence and way. There is an order to be followed and the right way is literally baby steps. If your child has less than 5 years old you will have to double check everything. Most of the schools will not accept a under 5 years old. Watch out for new school. Sometimes they have zero experience and they will take any kid because they do need the money and it can be dangerous. Only someone with a good amount of experience can really teach such a young kid and make sure he is learning. Women and families are a good “thermometer” for a good kids gym. Specially elders. If you have a Grandma and entire families training it is a indicator of a possible good KIDS Brazilian Jiu-Jitsu school. If your coach is a parent it can be an extra point. That means Parents and coach share the same emotions and everyone improve after become a parent. Right? The facility itself is important. You do not want your kid running around with a bunch of “fighters” using bad words when sparring or doing dead-lift with your kid behind them. On my gym I have a special schedule daily made only for kids and I don’t have other classes at the same time. This way I can avoid and separate Adults from kids keeping them safety. Make sure the gym you are enjoying has option of classes with age limits. I mean a 5 years old is not supposed to share the mats with a 11 years old. Can you imagine what can happen if a 11 years old boy fall on your little 5 years old? Make sure they have your kid learning on the right way. Different ages, different limitations. Don’t feel bad to e mail them some suggestions or questions after classes. That could help them too. Uniforms. Yes you will need one. BJJ is a Grappling martial art. Your kid probably will learn No Gi and self defense but they will learn it wearing a Gi and it has been like that for centuries and yes it works. A Gi is a much harder training than No Gi. I will make an article about it on the future. 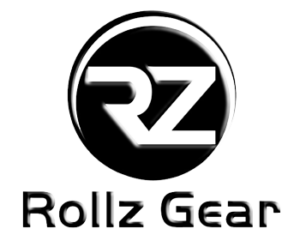 A respectable BJJ school will have Gis to seel it for you with a good price and quality. The school have to be successful because of the good instruction so the main thing can’t be make money on a Gi. 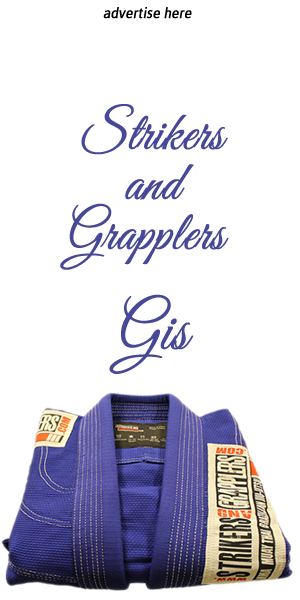 Most of the BJJ Team will “ask” you to have their Patch on the Gi and it’s the tradition and means you are representing and respecting your team and coach. Cleaning. Would you like to have your face on dirty mats? Or your kid using a dirty restroom? So make sure they are clean. Feel free to ask how often do they clean the mats. The number of kids is important. That means the gym is doing a good job and they have a good teacher. Make sure they allow you to keep your eyes on your kids when in classes. There are many different cares to worry about when teaching kids. When you are coaching kids you have to be a BJJ coach, doctor, psychologist… it’s an endless list when teaching a little one. Again ask the The coach or Gym manager whatever you want to know. Ask them what advantages would you have there. Do they offer other kids classes for example. Do you will have to pay extra for those? Family discounts? Just ask them whatever you feel you want to know. Brazilian Jiu-Jitsu follows a belt system normally instructors are brown belts or new black belts and older black belts are called masters. All probably know what they are doing but there are limitations. I do not have lower belts teaching at my schools. But it will be your choice. I just feel that will be hard to learn from someone that did not learn for himself yet. So do not be afraid. The tough step is always to start. 1st class will always be hard. Your kid may feel shy or worried but it will change in few classes. Do you remember your first day at school? Once you did it you will be fine. Good luck! I hope you find a great school to your kid and I hope you join it too.